Manufacture personal care products for swimmers: Anti-chlorine shampoo, conditioner, soap, shower gel and styling products. Instantly removes chlorine. We all have it: An inner dialogue. This self-talk is dominated by fear and doubt. It’s programmed into our reptilian brain because risk-mitigation is a survival tool. Controlling your inner dialogue is perhaps the most fundamental secret of success. William Shakespeare was able to describe and help us understand what most people intuitively knew and felt. Here is a favorite passage from his play Measure for Measure. He says so succinctly why self-doubt is deadly. In the following video, Les Brown and Jim Rohn spend 12 minutes expanding on this basic fact. It’s a great reminder that every day we should “stand guard at the door of our mind”. Watching inner dialogue will determine the quality of your life. Be wise and understand that everything is risky. Don’t ask for security, ask for adventure. Pessimism is a deadly disease. Our lives are most affected by the way we think they are, not the way they are. Poor thinking habits keep most people poor. Stand guard at the door of your mind. Complaining is a deadly disease of success. If you believe success starts in your mind, this is a good reminder to keep check of your inner thoughts. Do you agree? Daniel Tammet: Potential, insight and perception. Goggins overcame his fear of the water to become a Navy SEAL. Stop Wasting Time: Why schedules are important. Jordan Peterson, who is a Canadian clinical psychologist and a professor of psychology at the University of Toronto, has spend considerable time studying the assessment and improvement of personality and performance. I think it’s safe to say that most, if not all, of today’s leading self-improvement authors say that you should have a plan and work your plan. Or to say it differently, have goals and consistently work towards achieving them. It’s reinforcing for me to hear Jordan Peterson describe these same ideas, but in his terms. There is a lot to unpack in this video, but he describes having a vision for your life as a moral obligation and those who succeed are conscientious workers (hard workers). This is a rather lengthy video, but it makes you think of goal setting in a different way. He talks about a number of related ideas, but to me, they support the idea of achievement = goal setting + hard work. At the very least it’s a motivating video and is a good way to start your day. Enjoy! What was your takeaway from the video, and how can you apply these ideas to your life? These steps, they claim, create a barrier between your skin and the chlorinated water. If you spend extended amounts of time in the swimming pool, it’s hard (if not impossible) to keep the chlorine from attaching to your body. 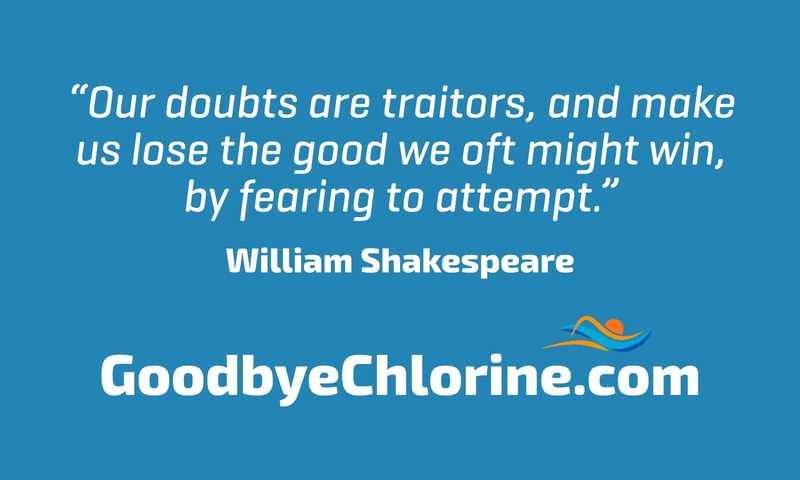 We recommend using our anti-chlorine products after you swim to make sure you get the chlorine off after swimming. Achieving a high level of success in one area of your life is challenging enough. But what about Arnold Schwarzenegger who reached the pinnacle in bodybuilding, acting and politics? When he has something to say about success, we should all take note. He’s known for pithy one-liners in his movie roles, but this video is quite shrewd. After watching it, you realize that his success was no accident. He worked hard, had terrific work habits and stayed focused on what he wanted. Have a vision (goal). People don’t become successful by accident. Just as a good boat or airplane won’t reach its destination without a plan, you won’t reach yours without a goal. Pick something that motivates you. Your vision should be strong enough to keep you energized even when the going gets tough. Be happy when you are doing your work. Arnold had an infectious positive attitude and was happy when working out. Why? Because he knew every rep, every drop of sweat brought him one step closer to his goal, and he couldn’t wait to achieve it. Set a deadline. Arnold stresses it is important to set a deadline. He says you will never begin if you don’t have a deadline to meet. I’d say this is great advice. For athletes, signing up for an event can be adequate motivation. Little victories count. Arnold says the little victories are the things that can keep you motivated. It’s true that there are no overnight successes, and that it’s the tally of little victories that ultimately add up to big success. Use your time wisely. Arnold reminds us that we all have the same 24 hour handicap. He says that after sleeping, we all have 18 hours in each day. He was adamant about not wasting a single hour. Plan each day and keep to your schedule. And if you need a little pick-me-up, here are some of Arnold’s best movie one-liners. Simple and sustainable way to reach your goal weight. Rain Man . Kim Peek is considered a mega-savant and had incredible memory retention and recall. Although he could, and did, memorize volumes of information, he lacked basic motor skills probably due to the way his brain was formed. You may have seen stories about musicians or artists who are genius’ or prodigies in one area or another. Often diagnosed as autistic, these people have accessed different parts of their brains and in some ways are brilliant–and in other ways severely disabled. Daniel Tammet is a special kind of savant. He had seizures as a child and researchers think that these seizures re-wired his brain. But what’s so incredible about Daniel is that he seems relatively “normal” for a genius. And because he can describe how he thinks and processes information, he has become incredibly valuable to scientists who study how the brain works. Here’s Daniel’s TED Talk from 2011 if you are interested. I find it fascinating that the humans are capable of learning a language in a week, or memorizing vast volumes of information, or doing mental math computations, or drawing detailed landscapes from memory. Who doesn’t find it fascinating? I’m always taken by these stories and reminded that we are capable of so much more than we think we are. Our brains are vastly underutilized. These stories always inspire me to rethink what I’m doing and how I might do things differently. Do these types of stories inspire you? What lessons can you learn from Daniel and will it inspire you to make some change in your life? 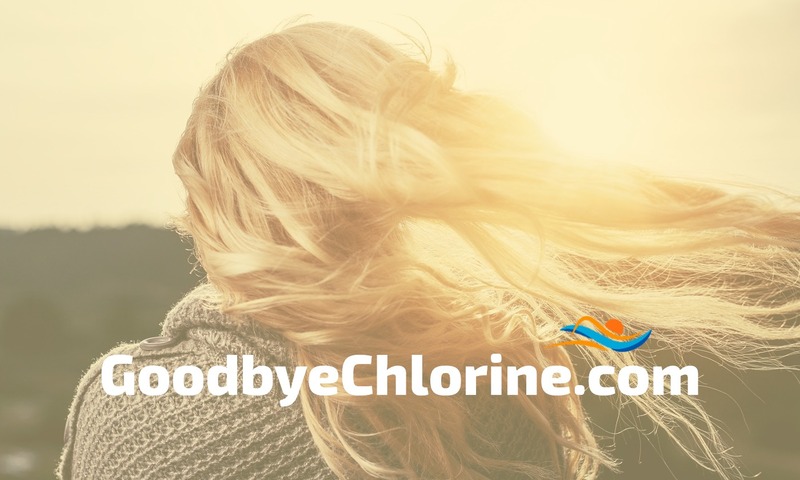 Goodbye Chlorine manufactures swimmers’ shampoo and other anti-chlorine products for managing swimmers’ hair and skin. Click here to see our entire product line, or our buyer’s guide. Swimmers know that sticking to a regular workout schedule is good for your health, but terrible for your hair. Routine exposure to chlorinated swimming pools drys out your hair. It seems that no matter what shampoo you try, the chlorine just sticks. You can tell that the chlorine is still on you because you can smell it, and your hair becomes dry and brittle. Are you wondering how you can get the health benefits of swimming without having the stereotypical “swimmers’ hair”? Goodbye Chlorine makes hair care products for swimmers that remove chlorine. You can now get all the chlorine out of your hair by using our shampoos, conditioners and styling products. These products will get the chlorine out and keep your hair looking and feeling healthy. How can you keep your hair healthy when swimming regularly? 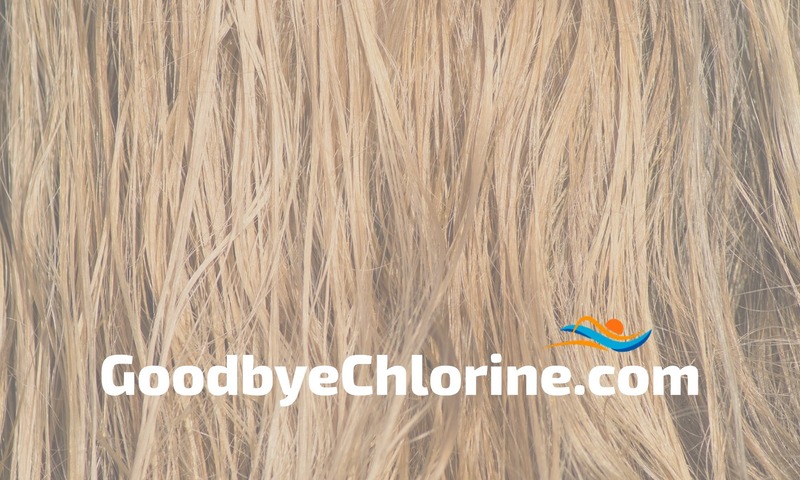 Use special products like Goodbye Chlorine’s hair care products for swimmers. 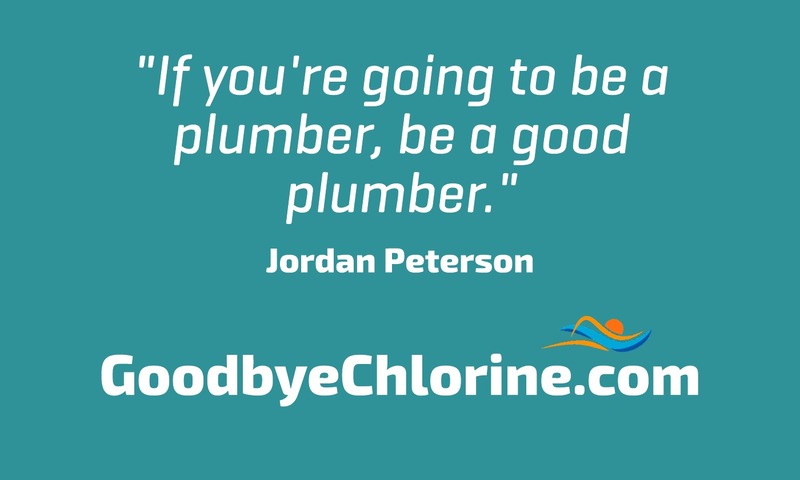 They instantly remove chlorine. You can now get all the chlorine out of your hair by using our shampoos, conditioners and styling products. These products will get the chlorine out and keep your hair looking and feeling healthy. Here’s our swimmers’ guide to keeping your hair healthy. Before and after swimming. 5 minutes. How to keep your hair healthy while swimming daily. Get your hair wet before swimming.Your hair is like a sponge, and can only soak up so much water. Getting your hair wet in the shower makes it harder for the swimming pool water to get into your hair. Wear a swimming cap.A swimming cap acts as a physical barrier between the pool water and your hair. It’s not a foolproof solution to keeping the chlorinated water off of your hair, but it helps. Swimmers’ Shampoo, for Swimmers’ Hair.Use swimming-specific products like Goodbye Chlorine’s shampoos and conditioners after swimming. They are highly effective at removing chlorine. Finish with styling products made for swimmers. These products will remove any residual chlorine left on your hair from the previous steps and keep your hair looking good all day long. Chlorine removal shampoo for swimmers. How avid swimmers keep their hair looking great. CAUTION: Video contains language not appropriate for some minors. David Goggins, would have never become a Navy SEAL, had it not been for overcoming his fear of the water. His story is rife with overcoming challenges, but overcoming his fear of the water was an important first step to his success. I was afraid of the water, terrified of the water. The fear overcame me … I quit. But Goggins started asking, “What if?” “What if I became a SEAL?” What if … ?” He kept asking himself these questions and they enabled him to overcome the challenges that faced him. His is an amazing story. He was afraid the water (aquaphobia) yet chose to become a SEAL. Not only did he eventually become a SEAL, but he excelled at it. Somehow he was able to overcome his fear of the water–and a whole lot more–to accomplish many things. Here are some tips on how to overcome the fear of swimming. David Goggins, retired United States Navy SEAL and ultra-distance athlete. David Goggins faced and overcame his fear of the water. Can you relate to some of Goggin’s struggles? Do you have a fear of water, or other fears you want to overcome? Is swimming part of your regular fitness routine? Check out our products that make you life a little better outside the swimming pool. Goggins recommends stretching, yoga to release the psoas muscle. 3 Lifestyle Changes: Simple and sustainable way to reach your goal weight. What is a good soap to remove chlorine from your skin? They are made for swimmers and have chlorine removing ingredients in them. Moisturizing. A good soap will have a high content of glycerin which will moisturize your skin. Chlorine is drying and you need to get it off after swimming. Find a soap that both neutralizes chlorine and moisturizes your skin. This is the best possible combination. See our bar soaps here. What’s a good face wash for swimmers? The most gentle and moisturizing products make for a good face wash. If you like to use soap, our handmade soaps are terrific. If you prefer a liquid soap, try our protect shower gel. Why is it important to get rid of all the chlorine off the skin after swimming? Chlorine is drying and damaging to your skin. The health benefits of chlorinated swimming pools are undisputed, however leaving chlorine on your skin after swimming is irritating. 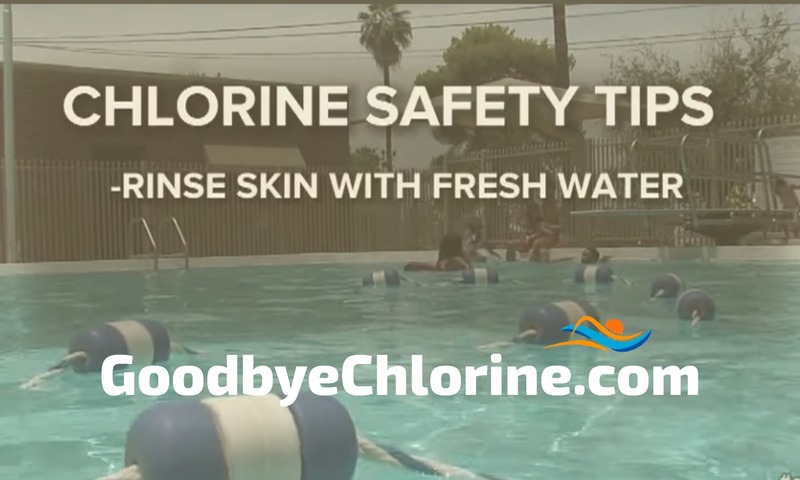 For people with sensitive skin, this residual chlorine can cause itchy skin, or a rash (commonly called “chlorine rash”). How to remove the smell of chlorine from skin? 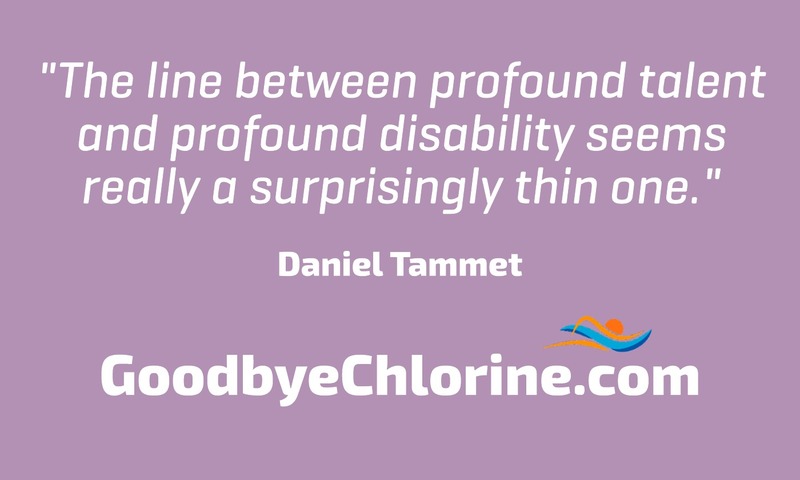 The smell of chlorine on your skin, is actually residual chlorine left on your skin after swimming. You need to remove the chlorine in order to remove the smell. This is harder than it seems because chlorine has a tenacious way of sticking around. Use a product that is made to remove chlorine like our body wash for swimmers. What’s the best chlorine neutralizing soap? Look for soap that is made with special ingredients to neutralize chlorine. Both our bar soaps and shower gels are made to remove chlorine after swimming. It really comes down to a preference between soap and shower gel. We find taking shower gel to the pool is easiest and using soap between swims at home is the most convenient solution. How do you not smell like chlorine after swimming? Smelling like chlorine long after swimming is proof that there is still chlorine on your body. In order to stop smelling like chlorine, you have to get the chlorine off after swimming. Use products like anti-chlorine shower gel to get the chlorine off after swimming. How can I protect my hair while swimming everyday? Soak your hair in the shower. Your hair is like a sponge. If you wet your hair before swimming, it will soak up the shower water making it harder for the chlorinated swimming pool water to get in. Use an anti-chlorine conditioner. If you use an anti-chlorine conditioner like this one before swimming, it will help keep the chlorine off your hair. Wear a swimming cap. Latex swimming caps act as a physical barrier between your hair and the swimming pool water. It won’t completely keep your hair dry, but it will help keep the water from continually washing through your hair. How do you keep your hair healthy after swimming? Get the chlorine off of your hair. Chlorine damages your hair. It’s important to get it off immediately after swimming. Hydrate your hair. Chlorine damages your hair by drying it out. Returning moisture to your hair is critical to keeping it healthy after swimming. Our anti-chlorine conditioners both remove chlorine and return moisture lost to chlorine exposure. 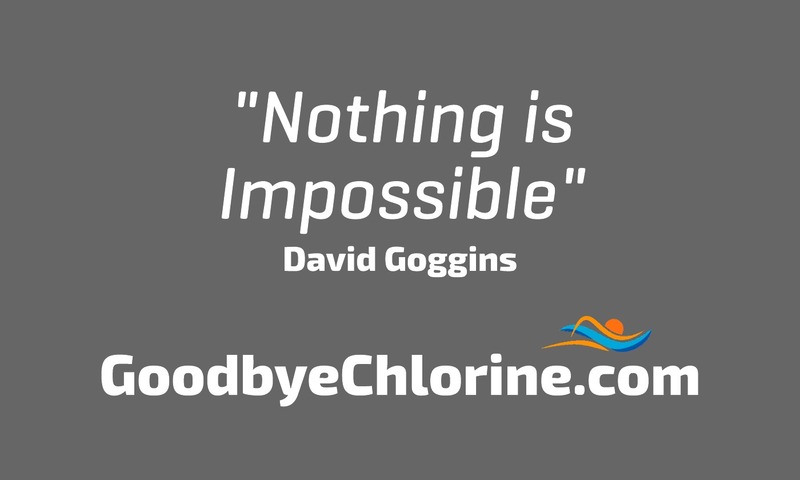 If you want more chlorine-removing power first use our shampoo. Keep in mind our anti-chlorine shampoo is highly effective and we recommend using it sparingly as needed after swimming. If you have very difficult hair, you may want to try adding our anti-chlorine spray which is our strongest chlorine-removing product. We also make anti-chlorine styling products like a leave-in conditioner and hair wax. These products will remove any residual chlorine you may have missed in the shower and help keep your hair looking great all day long. How do I take care of my hair if I swim every day? Preventing chlorine from damaging your hair is the best thing you can do to keep your hair healthy if you swim every day. Wet your hair before swimming, then use an anti-chlorine conditioner underneath a swimming cap. This is the best way to prevent chlorine from damaging your hair. Of course it’s impossible to completely keep the chlorine off your hair while swimming, so using an anti-chlorine conditioner after swimming will remove chlorine and condition your hair. If you need more chlorine-removing power consider using an anti-chlorine shampoo or spray in combination with a conditioner. How can I keep my hair safe from chlorine? Get your hair wet before swimming. You hair is like a sponge and can only soak up so much water. By getting your hair wet before swimming it makes it harder for the swimming pool water to get in. Use an anti-chlorine conditioner. Apply an anti-chlorine conditioner to your hair before swimming (and make sure to wear a swimming cap). The anti-chlorine conditioner will help keep the chlorine off of your hair. Wear a swimming cap. A latex swimming cap acts as a physical barrier between your hair and the swimming pool water. It won’t keep you hair completely dry, but it will help to keep the swimming pool water from continually washing over your hair. After swimming, the most important thing is to get the residual chlorine off of your hair. Chlorine is drying and repeated exposure to chlorine will damage your hair. First try using an anti-chlorine conditioner and if you need more chlorine-removing power consider using a shampoo or spray. How do swimmers keep care of their hair? Avid swimmers know how damaging chlorine is to their hair. Repeated exposure to chlorine will make your hair dry and crunchy. It’s important to get the chlorine off of your hair immediately after swimming. Anti-chlorine conditioners and anti-chlorine leave-in conditioners are the best products to use after swimming. These kinds of products will remove chlorine and nourish your hair. Consider using other products like anti-chlorine shampoo or anti-chlorine spray if you need more chlorine-removing power. How do swimmers keep their hair healthy? First, they protect their hair while swimming by wearing a latex swimming cap. Secondly, they remove the chlorine from their hair immediately after swimming. Repeated exposure to chlorine will make your hair dry and brittle. 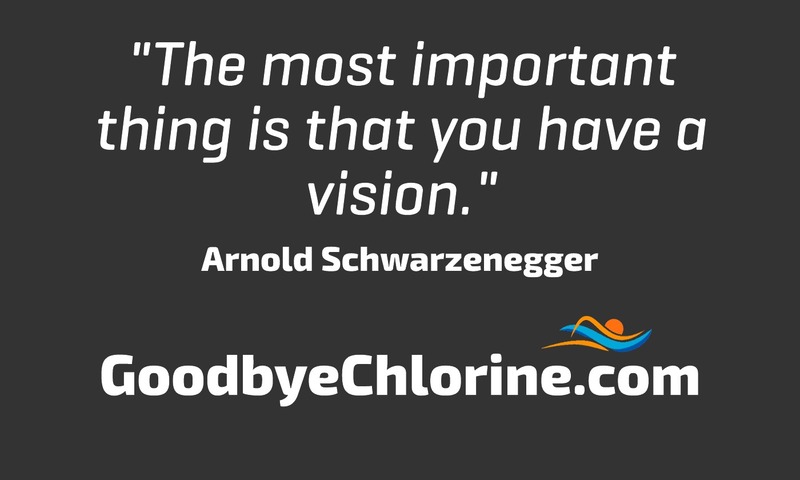 Keeping the chlorine off is the only way to keep it healthy. Is pool water bad for hair? Yes, chlorinated pool water is bad for your hair. Chlorine is alkaline, which makes the outermost layer of your hair (cuticle) rise. This in turn exposes the oils that protect your hair shaft to the chlorine. The chlorine then dries out your hair shaft making your hair brittle. Does chlorine ruin your hair? Repeated and prolonged exposure to chlorine will ruin your hair if you don’t properly care for it. Swimmers will protect their hair from chlorine by wearing a swimming cap, and remove the chlorine immediately after swimming. What happens if you don’t wash your hair after swimming? If you swim one time, and don’t wash your hair you probably won’t notice much difference. If you swim frequently, however, and don’t wash your hair then your hair will become dry and brittle. Swimmer’s Hair: A deep dive into shampoos and conditioners. Soap for Swimmers: Everything about chlorine removing soap.